A holiday classic, this yearly masterpiece will be showcased in Miami and Broward for all families' enjoyment, with the original choreography by Vladimir Issaev. 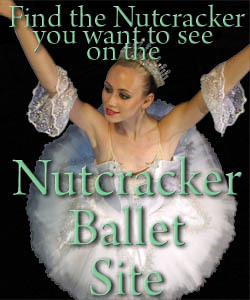 The ballet tells the story of Clara, who receives an unsuspected gift on Christmas Eve: The Nutcracker! The magic of this present allows the beautiful young lady to travel to the Land of Sweets after enduring an epic battle with the unique Rat King. Issaev maintains the traditional Russian ballet while implementing his own choreographic style, developed on his constantly evolving dancing troop. Leading today by principal dancer Venezuelan Mary Carmen Catoya, shining again as Sugarplum Fairy and alternating this protagonist roll with Janis Liu and Hinano Eto. Opposite principal lead are Kevin Zong and Kazuya Arima rotating the roll of the Cavalier.